MEMBERS ALERT! 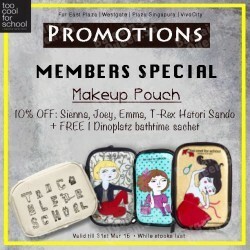 Purchase any Sienna, Emma, Joey or T-Rex Hatori Sando makeup pouch at 10% off! And receive 1 Free dinoplatz bathtime sachet. Visit their outlets at Far East Plaza, VivoCity, Plaza Singapura and Westgate to check out more in store promotions now! Enjoy your time shopping there ~ too cool! IN- STORE PROMOTIONS! Enjoy their series of promotions lined up for you starting today! Promotion ending on the 31st March so hurry down to their outlets at Far East Plaza, Plaza Singapura, VivoCity, Westgate to check them out! Purchase $30 & above to receive a FREE Jean George Llong mini! Remember to protect your skin against UV in this scorching hot weather. Head down to their Westgate, VivoCity, Plaza singapura and Far East plaza outlets to check out their in store promotions! Start 2015 by rejuvenating your face! Simply spend $30 & above and receive a FREE smart 3D moisture mask worth $4.50! Whilst stocks last so hurry down to their 4 authorized outlets @ Far East plaza , Vivo city , Plaza singapura, Westgate! Purchase any of the Too Cool For School Singapore Christmas bundle sets and get a FREE Artclass Pointage set of 3 nail colors and a nail art pen. Whilst stocks last. 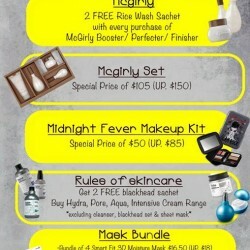 So don't miss out on the free gift worth $28 per set. 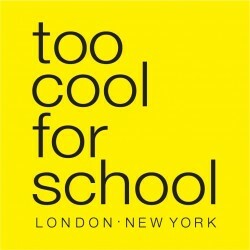 Show your student card and sign up as a STUDENT MEMBER at any of the too cool for school stores and enjoy a 5% off your purchase. Jean George Llong Extreme Sunspray is back at Too cool for school with extended promotion! 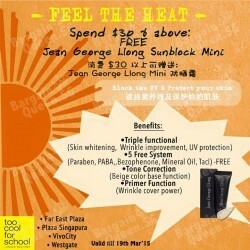 Buy Jean George Llong Sunblock OR Extreme Sunspray and get a FULL SIZE Jean George Llong Sunblock (retails at S$28) FREE! celebrate ‪too cool for school‬ Plaza Singapura NEW STORE Opening at Basement 1 ‪plaza Singapura‬ B1-31A (next to 4fingers and Gongcha). 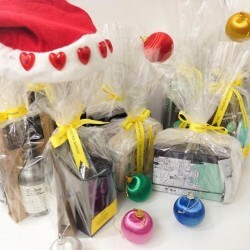 Enjoy Free gifts with purchase! 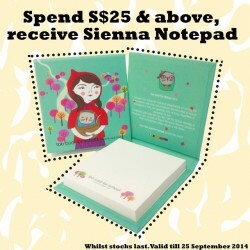 Bring home this adorable and useful Sienna Notepad with purchase of S$25 & above at Too Cool For School! 1. 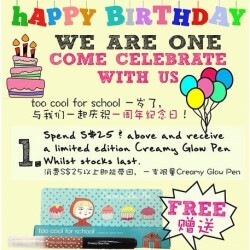 Spend S$25 & above and receive a limited Creamy Glow Pen! Whilst stocks last. 2. Double points for EVERYONE with no minimum purchase! From 26 Aug to 25 Sep 2014. 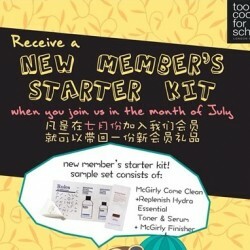 Any purchase entitles you to Too Cool For School' membership. Say hello to Josephine (the pink skull!) 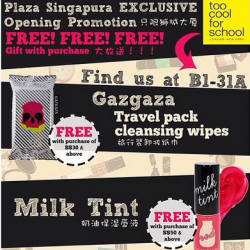 With purchase of Xakziuza or Oilloziuza, get Gazgaza free @ Too Cool For School Singapore! Valid till 30 June 2014. Whilst stocks last.